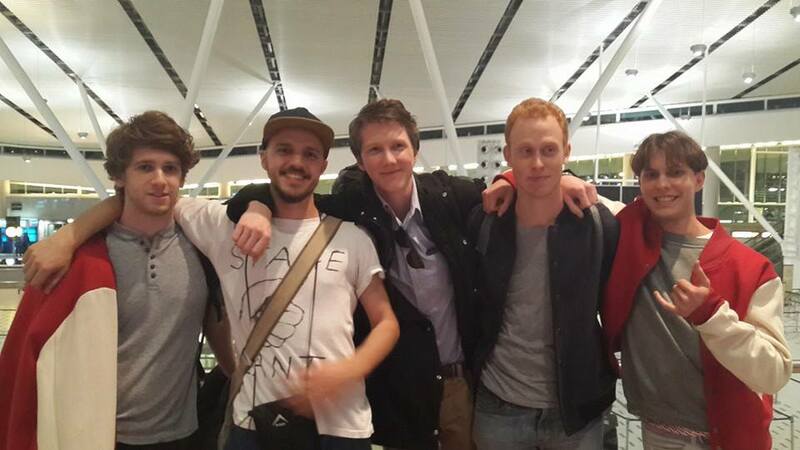 Pictured at Cape Town airport on their way to London for the start of their 27 date UK and Europe tour are five of the six members of John Wizards. The tour kicks off in Bristol at the Simple Things Festival and will then see the young Cape Town band travelling to Glasgow where they will start their UK tour supporting Jagwar Ma, the Noel Gallagher-endorsed hip new Australian band, before moving through Holland, Germany, Belgium, Sweden and other European cities, where they will be supporting Mount Kimbie. The sixth member of John Wizards, Emmanuel, is currently in Rwanda sorting out his travel documents and will join up with the band in England shortly. From left to right: Tom, Rafi (ex Mabu Vinyl), Alex, John and Jeff.